At the peak of a decade of ministry in Uganda, Abundant Life International Ministries (ALIM) under the leadership of Pastor Ernest Howie, very ably assisted in the teaching by Brother John Faith Magolo, from Mbale, in conjunction with the Pastors Fellowship of Mityana in Central Uganda and Kagadi in Western Uganda carried a leaders and Pastors conference in the two towns respectively. The conference in Mityana started on 1st and ended on the 4th of June and Kagadi was 6th – 9th June, 2016. The conference in Mityana was attended by 800 delegates and that of Kagadi 420 participants. Pastor Ernest Howie the teacher of the word of God with Pastor Robert as his interpreter . The teachings pointed to the main theme as recorded in Hosea 4:6—“My People are destroyed for lack of knowledge”; Mal.2:7—“For the lips of a Priest should keep knowledge, and People should seek the law from his mouth; for he is the messenger of the Lord of hosts”; Ps. 25:4-5—“Show Me your ways, O Lord; teach me your Paths, lead me in your truth and teach me”; Ps. 43:3—Oh send out your light and your Truth! Let them lead me: let them bring me to your holy hill and to your tabernacle. The intended objective of these conferences was to build the capacity of the Pastors and church leaders with the foundations being the word of God and to re-focus them to the Biblical principles that underpin these teachings as the ultimate foundation of the church. Hence walking in the fear of the Lord, walking in integrity, Baptism of the Holy Spirit, potential, How to get answers to prayers, Prayer, working and trusting, the power of Christianity, Community service, healing and communion and Marriage as God intended. In the history of the ALIM conferences, Mityana registered the highest number to turn-up on day one with over 400 delegates in the conference hall by 10am and the first preacher was up on the platform by 10.30 am. This was a fruit of the resolve by the organizing team to provide transport to the participants from the rural areas of the district. The conference residents arrived a night before the start of the conference. 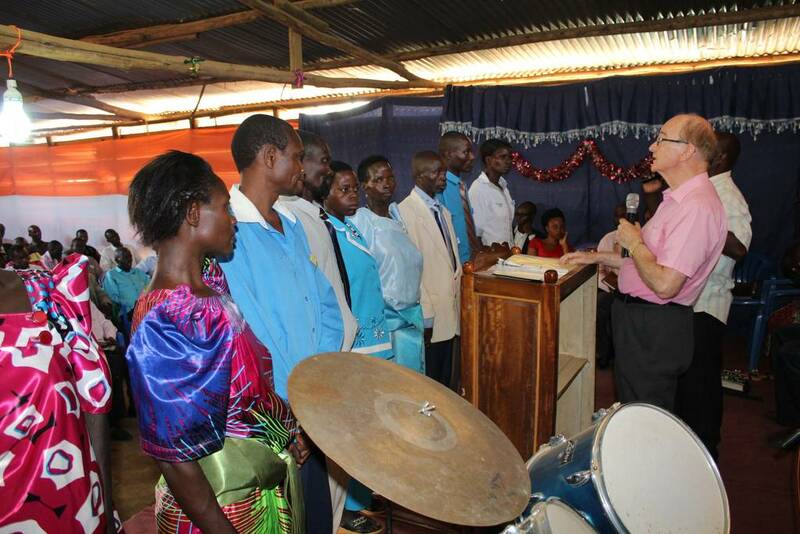 The success of the conference was equally explained as an appreciation of the Mityana pastors and leaders to the message that was taught in the 2012 conference by Pastor Ernest and Pastor Mike Smith that was challenging and yet uplifting. The participants from the rural areas were 200 more than the numbers we usually accommodate, making a total of 530 residents. Those who had received the testimonies from their friends said that they had to attend this particular conference since they missed the one of 2012. 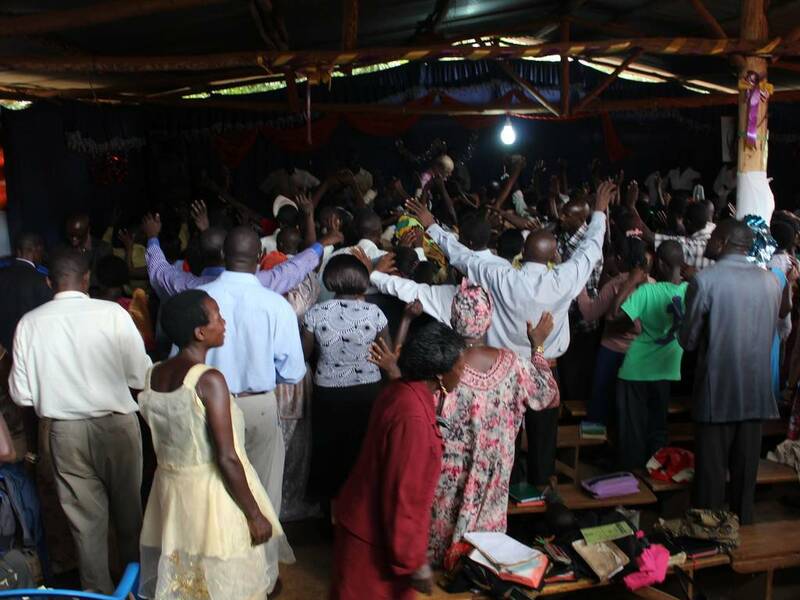 The conference in Mityana was held at Life Light House Church and World Revival Church in Kagadi. The conferences started at 9.00am and ended at 5.30pm with a lunch break at 1.00pm. The conferences were both residential for participants from far towns and rural areas and those who live nearby came from their homes. 530 delegates were residents in Mityana and 220 in Kagadi. 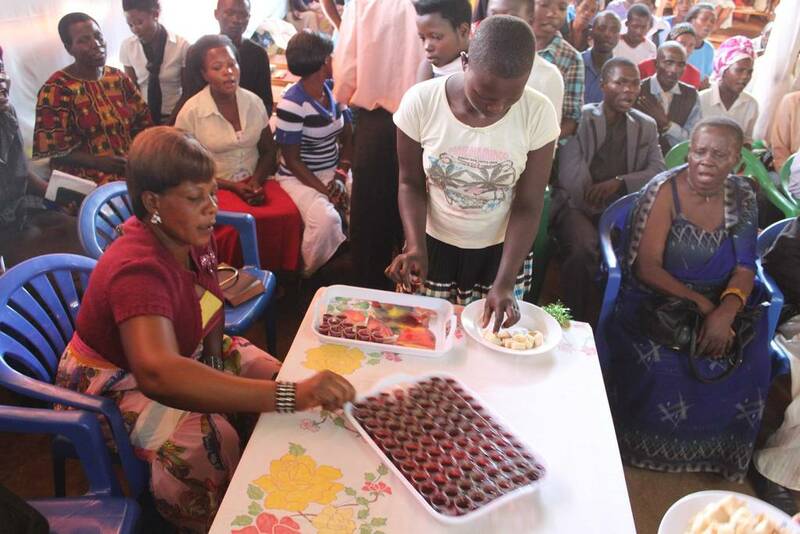 All the three main meals ie breakfast, Lunch and Dinner were provided to the participants. The conference officials hired the catering services that prepared and served the meals in both towns. The teachings generated a lot of interest from the participants and this was exhibited in their response to the word. As a result of the teachings, many participants yielded to the baptism of the Holy Spirit, responded to carrying out community work by delivering food parcels to communities and hospital and shared in the Holy Communion. There was a heavy manifestation of the power of God during the teachings. There were many healings that manifested during the teachings. One of the interpreters, Pastor Hannington Nsubuga testified of the healing of his wife. She had undergone an operation to take out a growth in her womb two weeks before the conference. From the time of her operation, she had been spending sleepless nights which were also affecting Pr. Hannington’s commitment to the conference. The ALIM team prayed with him and the following day he testified about his wife having a peaceful night. To attest this testimony, the pastors wife came herself on the third and fourth day of the conference beaming with joy to confirm this testimony. He was one of the coordinators for the conference. Towards the start of the conference he felt too ill to attend. He then thought to himself that this was a good opportunity to ask for financial support from the conference so that he goes to hospital for treatment. 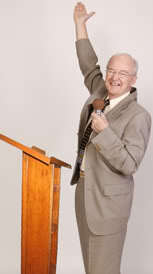 However, during the conference, his faith was raised after Pr. 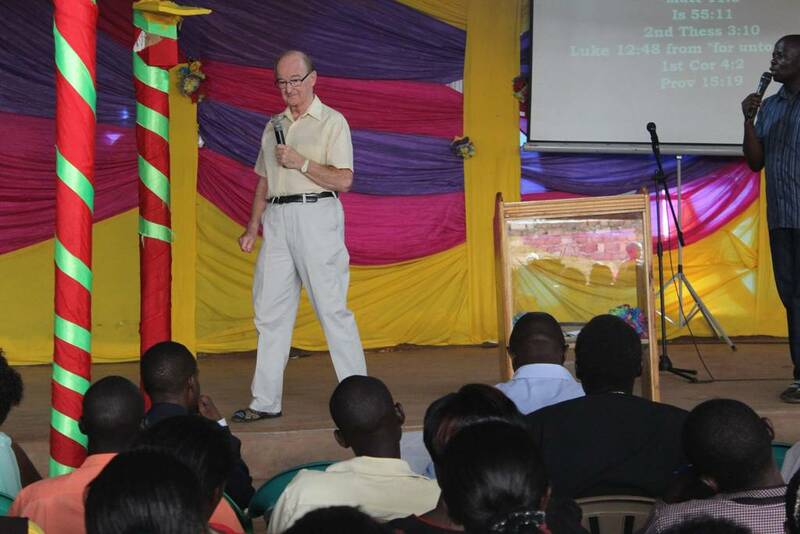 Ernest Howie shared testimonies of the many healing he has experienced in Uganda. Pastor Ernest while teaching on healing punctuated the message with testimonies of healings that have manifested in his life after laying hands and praying for himself. Pr. Kafeero realized that all the sickness he was feeling had disappeared and on the last day of the conference was very happy and gave the team some gifts in thanks to the Lord for healing him. There were seven other people in the conference who also testified of healing which happened after Pastor Ernest requested the members to pray over themselves. During the two conferences, the ministry team and the participants were blessed to hear a testimony from Pastor Henry from Kasese. He testified of how ALIM has been a blessing to the town after the conference. He testified that many couples are now being wedded in a simple marriage ceremony within the church service, community service is going on as part of the church’s program and all the churches in the area have picked up the vision and are having a basket every Sunday to collect money and items for community work. While in Kagadi, Pastor Augustus the host chairman of Mityana conference turned up with Pastor Margaret the treasure and their testimony about the impact of the conference in their town was amazing. He promised to keep ALIM updated on how they are progressing. Brother John Faith, teaching on ministry and community, challenged the participants to find a need in the community and meet it and in this way, they will be demonstrating the bible faith in more practical ways. A healthy church serves the community through the week and a Sunday is a day of fellowship and celebration. The teaching was based on the parable of a Good Samaritan as narrated by Jesus in the gospels. 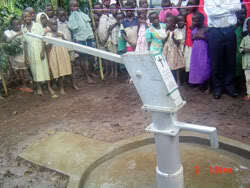 In response, the pastors and leaders contributed money which was matched with an equal amount by ALIM. The money was used to buy some food stuffs that were taken to the hospital. 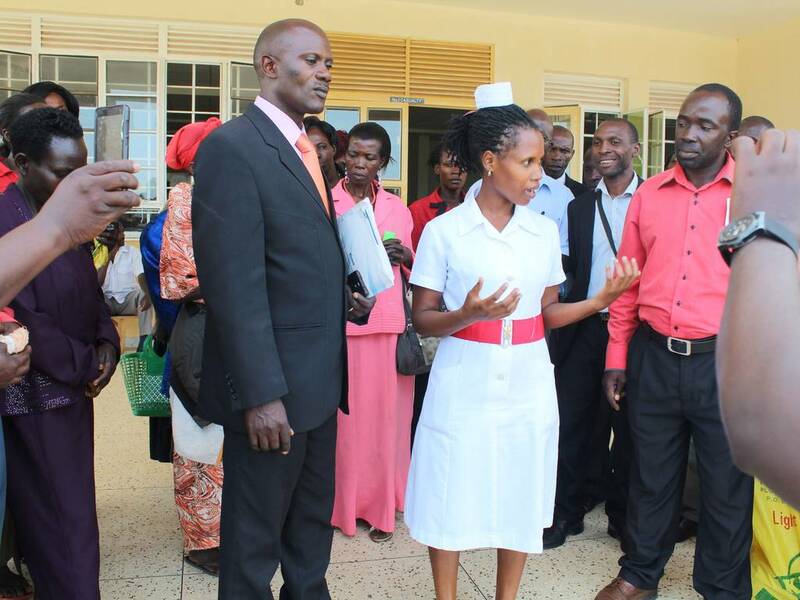 Besides the patients, some detergents and food items were given to the health workers of Mityana General Hospital. The gospel that was not preached by words was in this case acted and 20 people committed their lives to Jesus Christ as their personal Lord and savior. 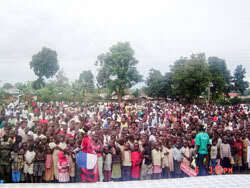 In Kagadi, 6 people got saved. Pastor Augustus the conference chairman in Mityana led the team to hospital for community service. In the middle is the hospital leader in charge giving the conference team a briefing. After the teaching on marriage as God intended, 10 couples responded to the marriage alter call to be wedded in the sight of God in Mityana and 6 couples in Kagadi. A Pastor who was engaged to a man with a promise to marry him when they raise enough money for the wedding took a step of faith in response to the word and wedded a man of her life an act that brought joy to the people and Glory to God. It should however be noted that such acts of faith are sometimes not keenly welcomed by those who benefit from the formal and traditional way of marriage due to loss of income through the high expenses that are demanded to be incurred by the bride and the groom before they are wedded. The Pastors promised to assist these couples to be legally recognized as married by presenting them to the government. Some of the couples that were wedded in the sight of God during the conference in Mityana. 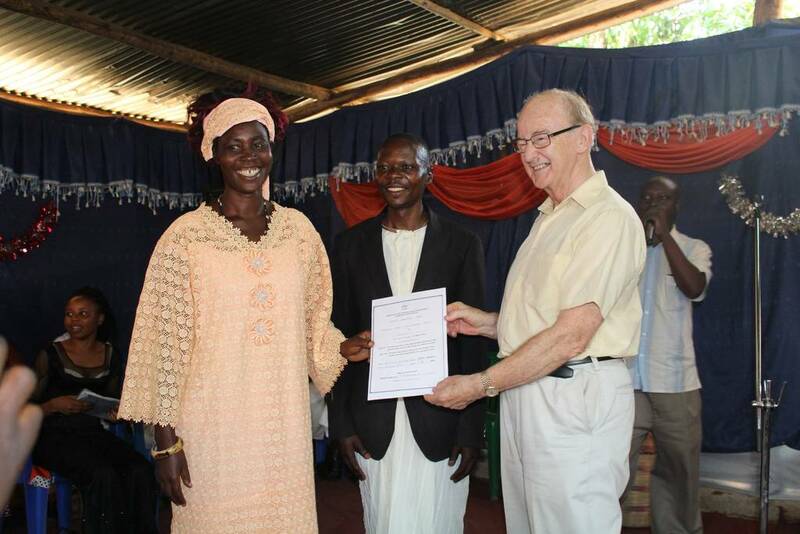 The couple receives a certificate of marriage after being wedded in the sight of God in Kagadi. Communion, the fourth pillar of the early church (Acts 2:42) besides prayer, the word and fellowship was taught and carried. This sacrament signified the importance of the church as one with a single mission and purpose to bring glory to God in remembrance of what Jesus did to take away the sin nature of man in exchange for his divine nature. After the communion, the pastors and leaders were commissioned to go and serve the Lord with zeal, Knowledge and understanding. Thanks to the Almighty God who enabled the ALIM team to be true to the calling to equip the church with the truth of the Word of God. All gratitude is ascribed to the Almighty God for enabling Pastor Ernest Howie, John Faith Magolo and the team to make the conference a success along with the coordinating teams in Kagadi and Mityana.